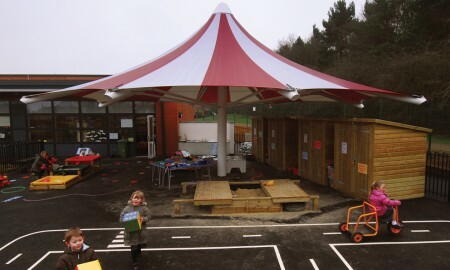 We were asked by Borras Construction if we could create an oval canopy to replicate an oval shaped stairwell within the school. 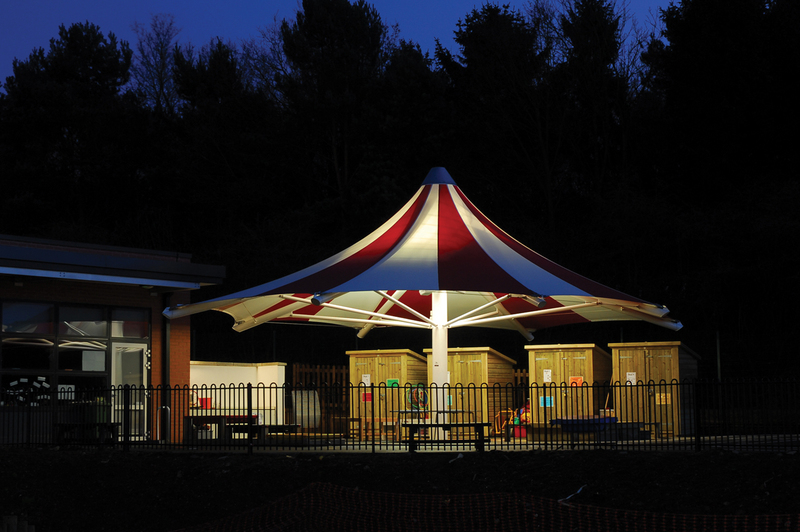 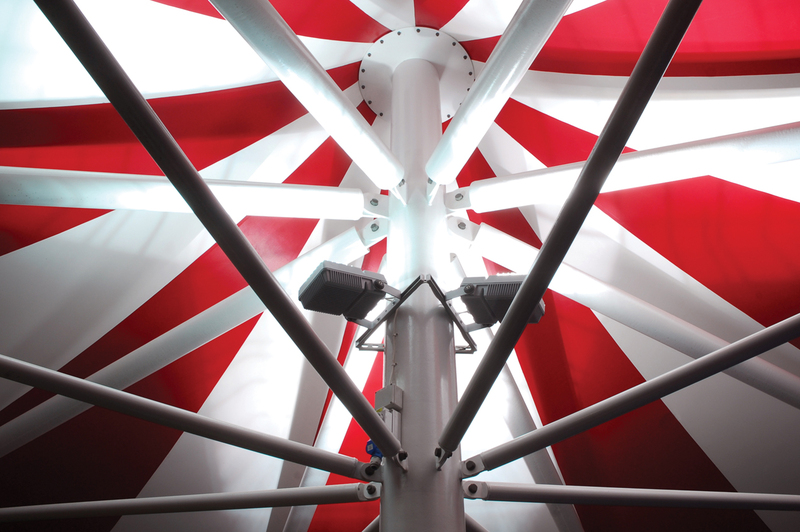 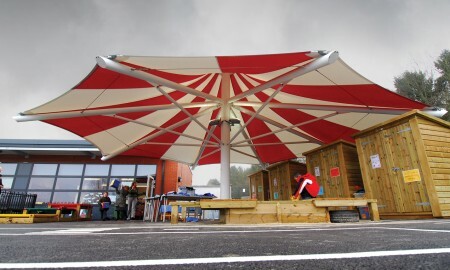 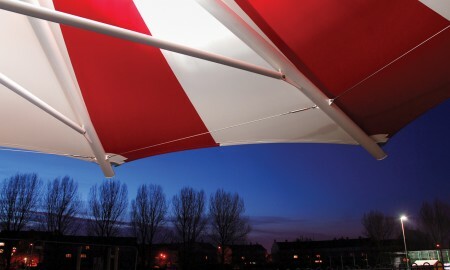 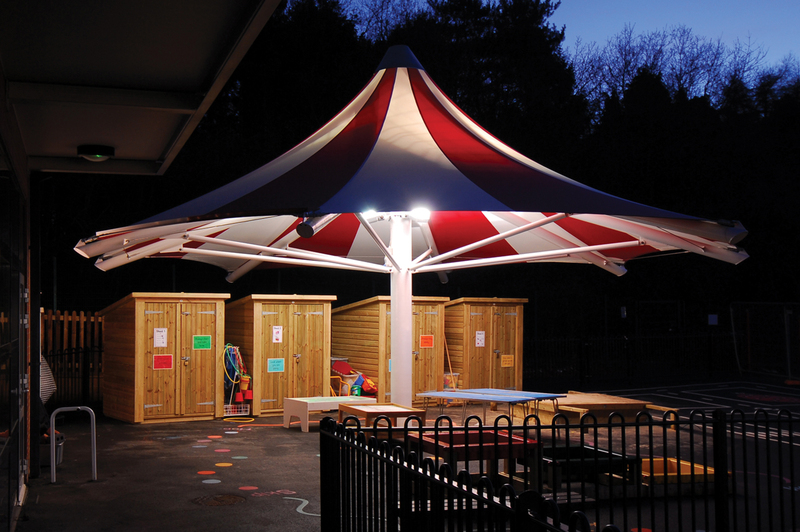 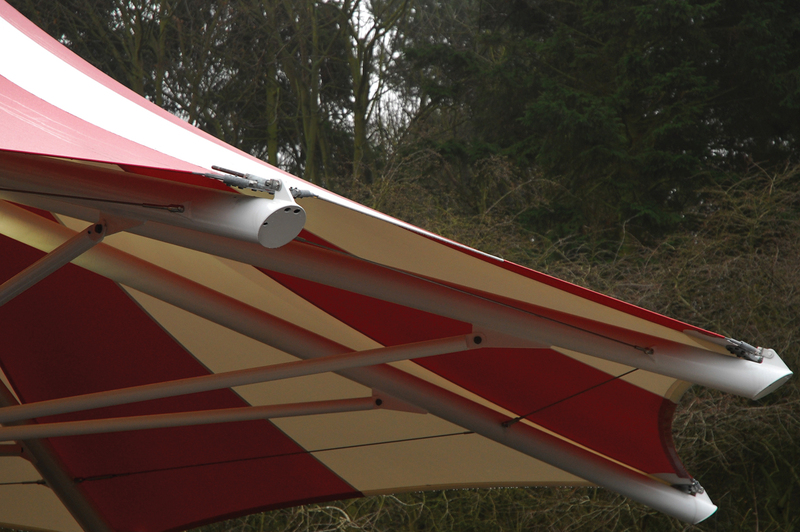 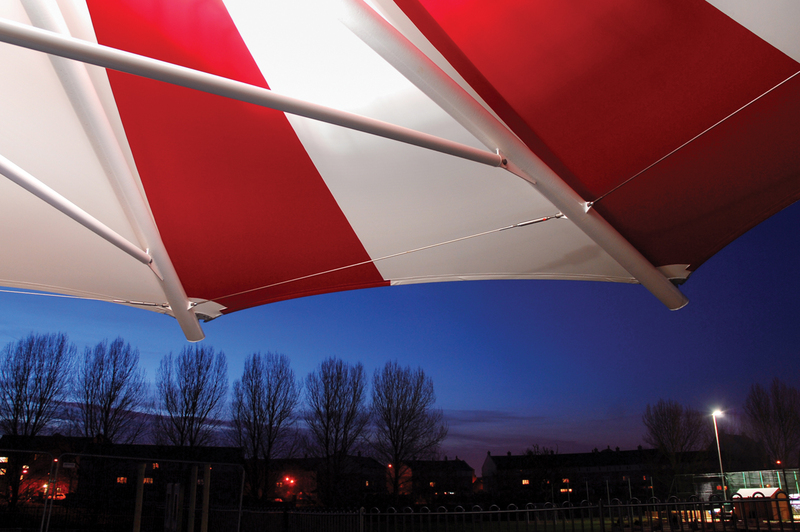 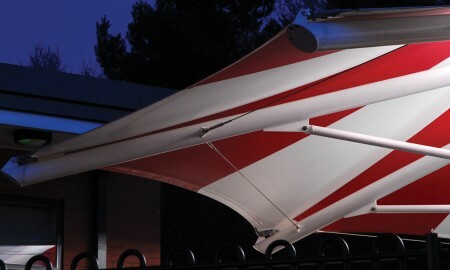 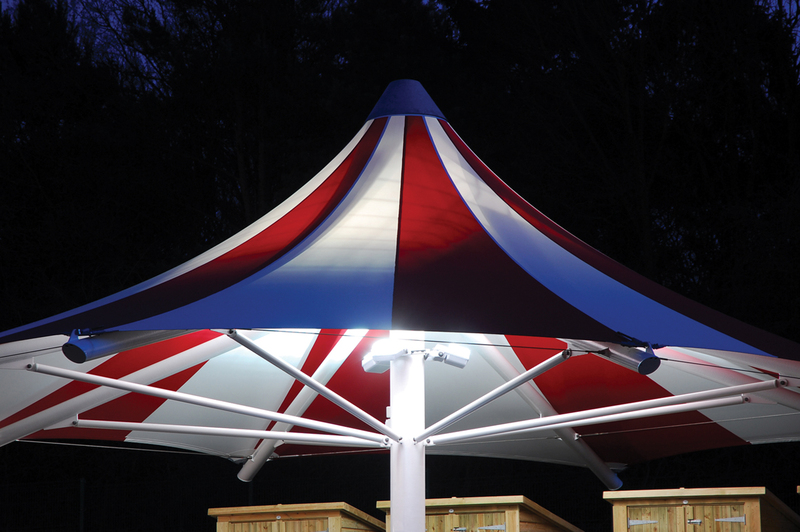 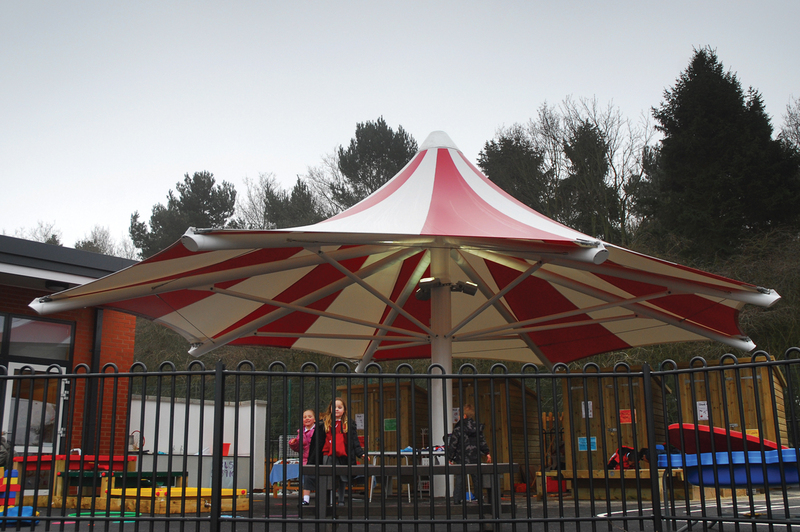 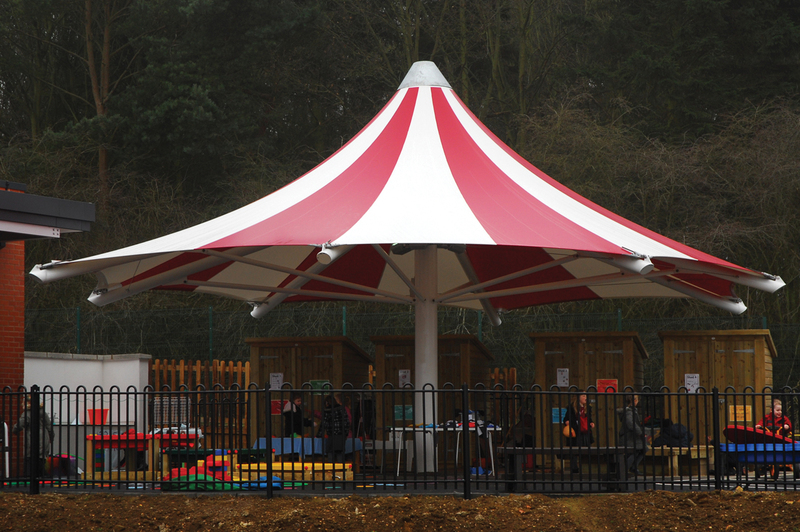 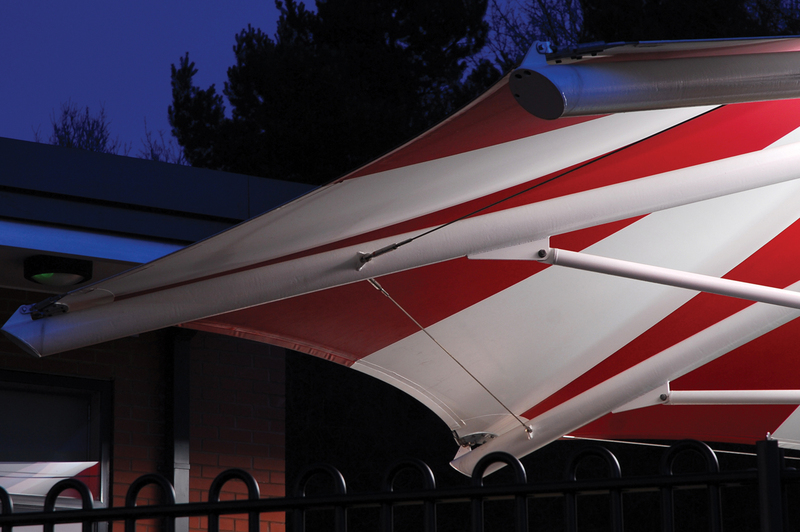 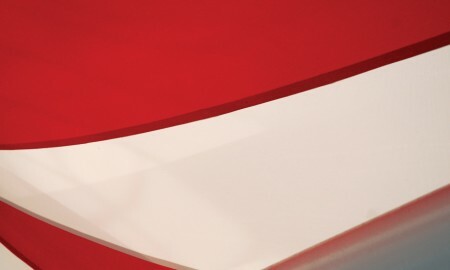 We worked closely with our engineers to bring to fruition this impressive 12000mm x 10000mm oval shaped canopy. 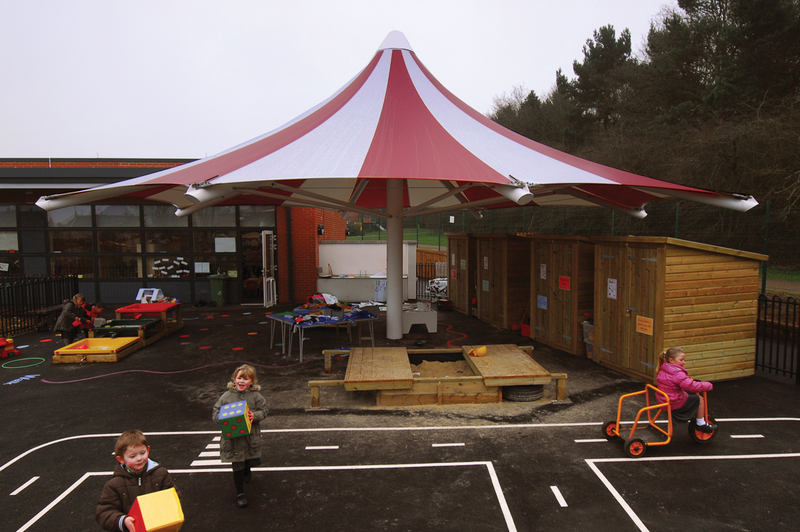 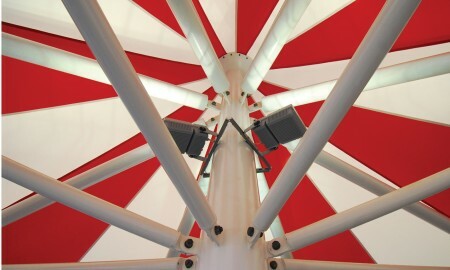 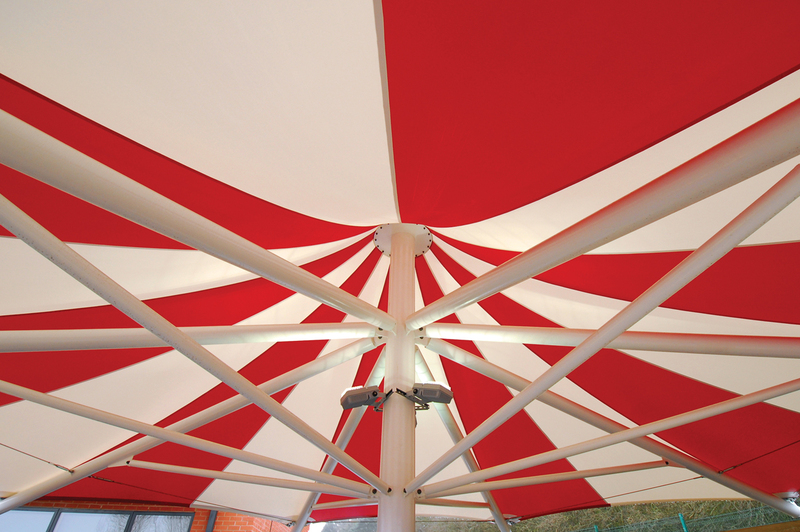 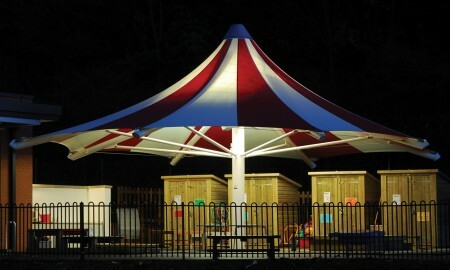 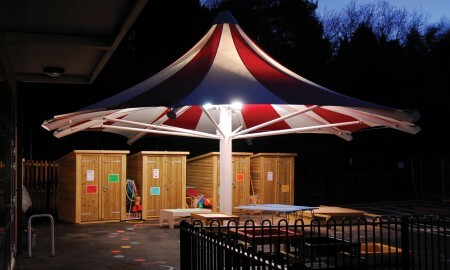 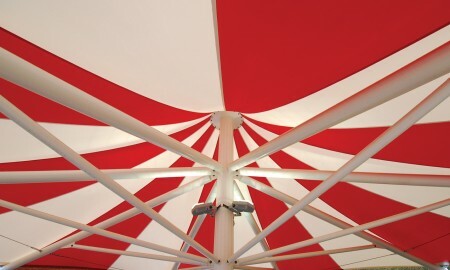 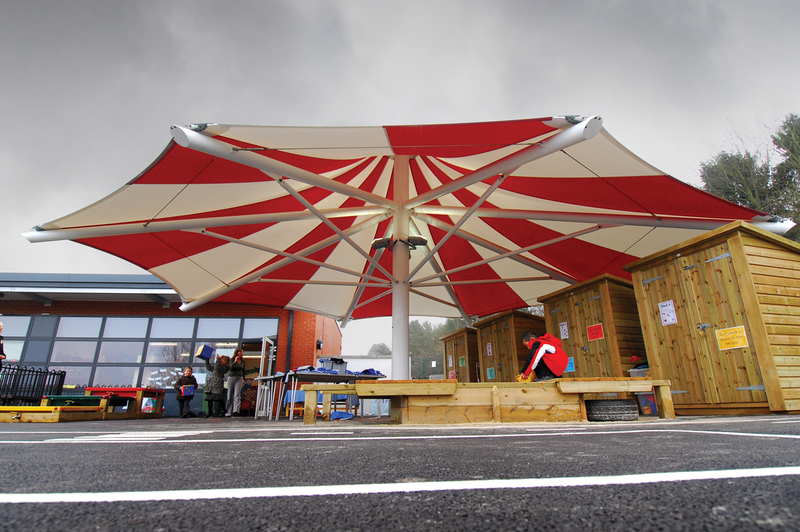 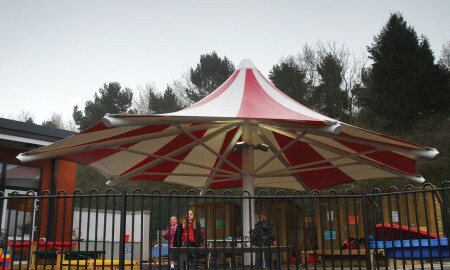 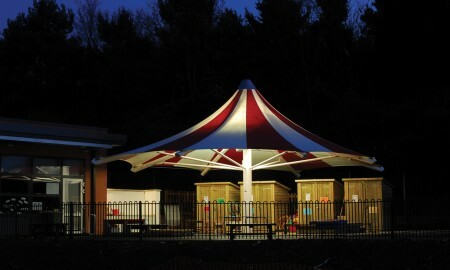 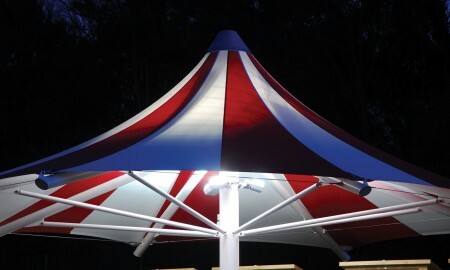 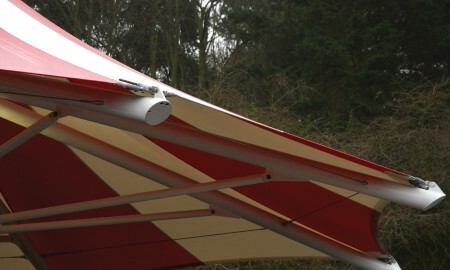 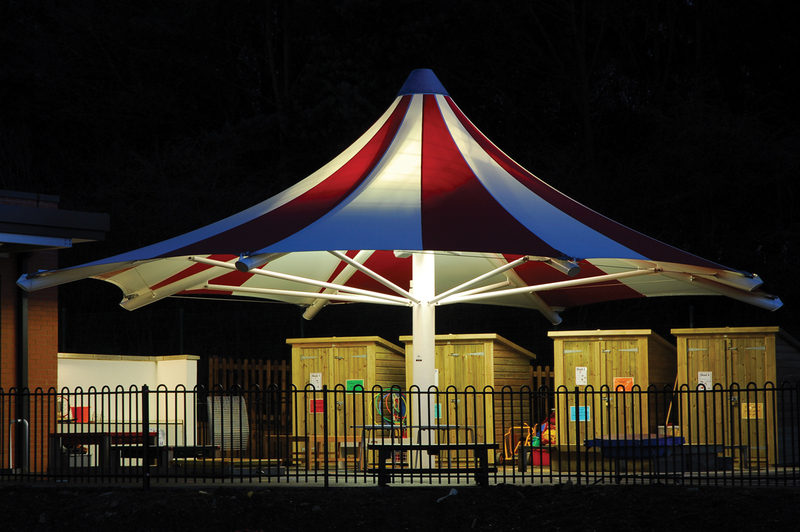 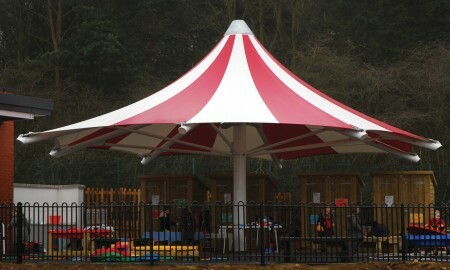 The head teacher, Mr Thomas, requested whether it was possible to have a multicoloured roof to resemble a circus tent. 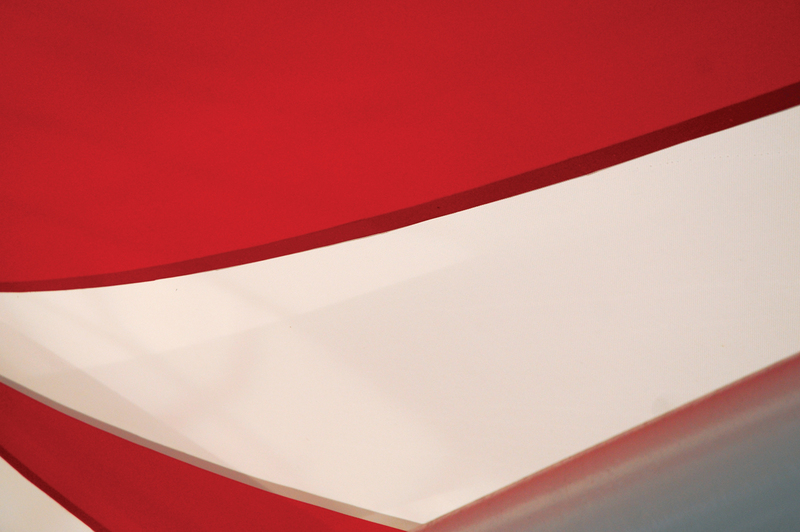 We were able to manufacture this in-house, using our conveyorised plotter cutter, and HF welder. 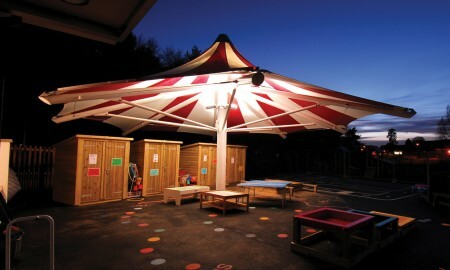 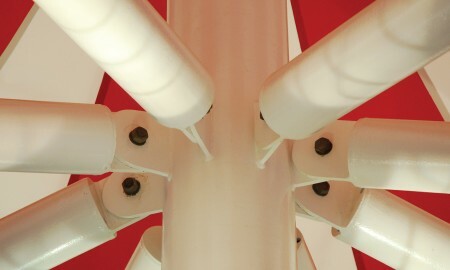 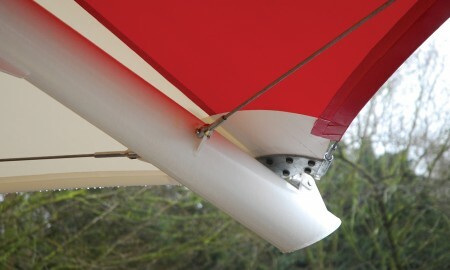 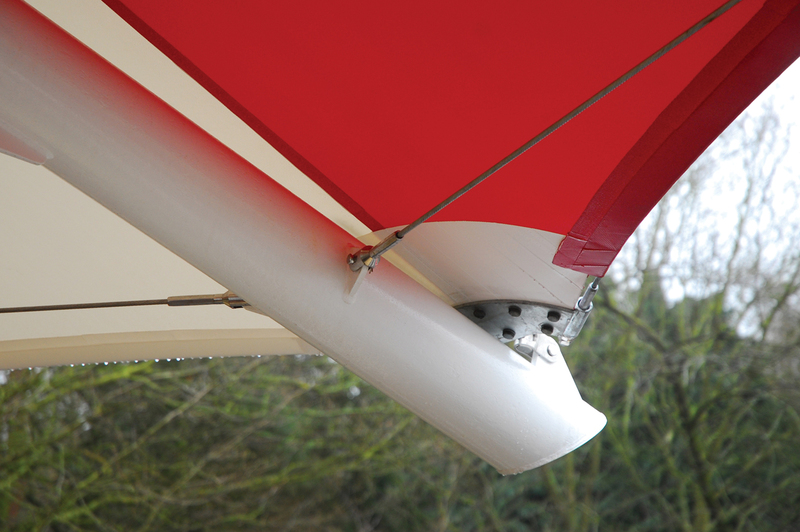 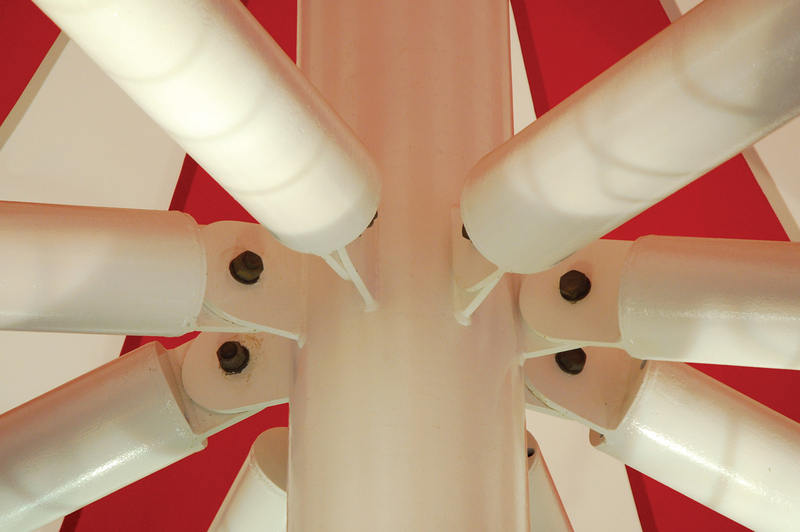 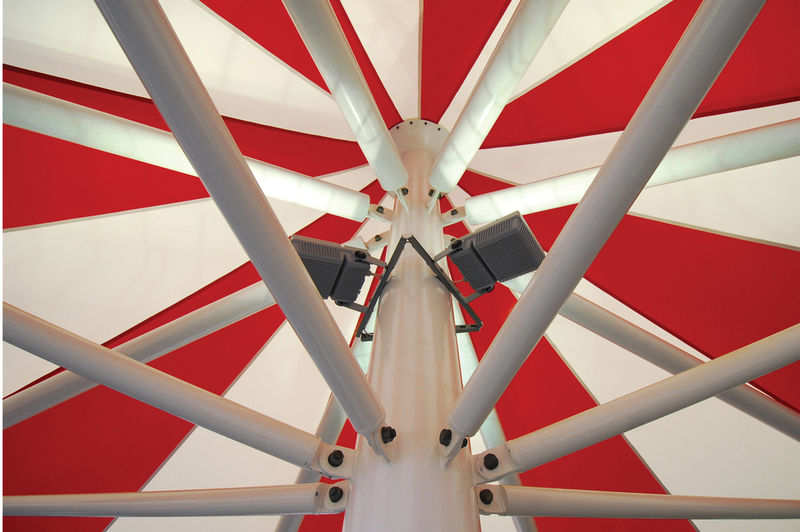 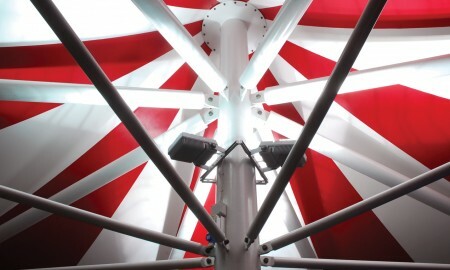 Integral lighting was included into the canopy roof by Borras at a later date at the request of the school, this was encased in a galvanized conduit trunk.